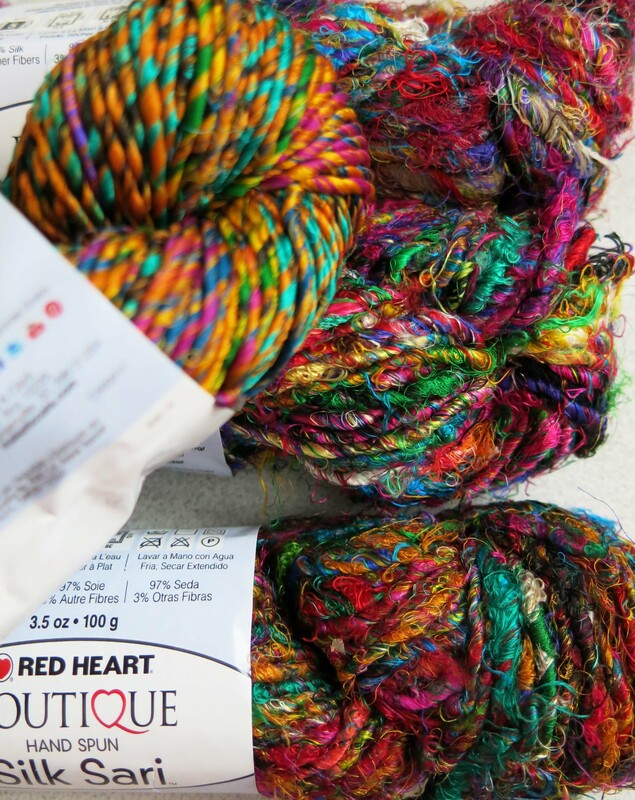 HodgePodge Crochet, Design Wars, and Red Heart! 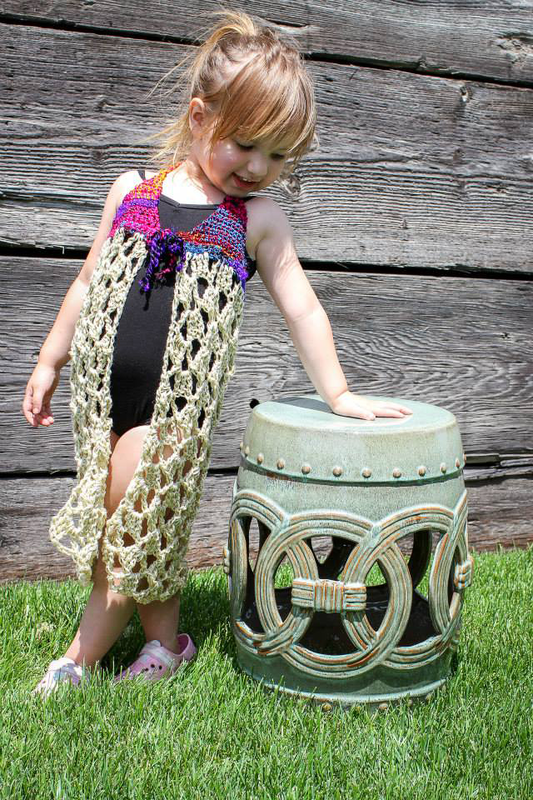 I’m so thrilled to announce that HodgePodge Crochet is taking part this week in a Design Wars Challenge!! My design is going head-to-head with another design by the AMAZING Glamour4You!! Both of us are using Red Heart Boutique Silk Sari yarn in our designs, which imparts a bit of the Far East into anything you crochet. The yarn comes in gorgeous colors and each hank is hand spun from actual silk sari fabric. Hanks are approximately 75 yds for a 3.5 oz weight. That might seem like it’s on the skimpy side but trust me; you don’t need a ton of this yarn to show it off as the star of the show because it’s dense and gets heavier and heavier as you add more in! 75 yards is more than enough for using it as an accent that’ll give your projects a huge wow factor or when using it in any super lacy projects like a shawl or lapghan. Red Heart Silk Sari is perfect for anything home decor or accessory. 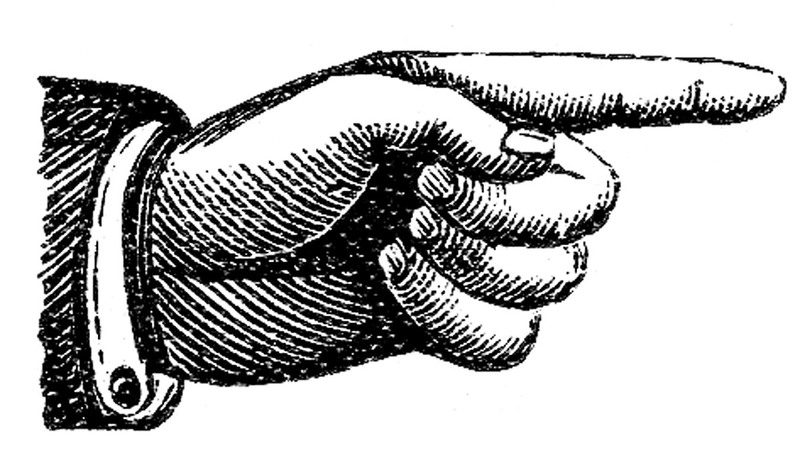 (Think bag, brooch, belt, headband, etc.) I think of it more as a decorator yarn and would tend to skip using it in any projects that will be placed directly on bare skin because it’s not soft or smooth and might itch or irritate. It also has minimal stretch (perfect for purse handles!!) and the fuzzy thick and thin style texture of the yarn looks beautiful in any stitch you decide to use. All of my testers had a ball with the simple construction and their little models were thrilled with the final result! Introducing: The Silk Sari Coverup! I hope you guys love my design as much as I do and will take a minute to head on over to Design Wars to see what Ann of Glamour4You has come up with (her designs are always fun and drool-worthy!) and then vote for your favorite!! 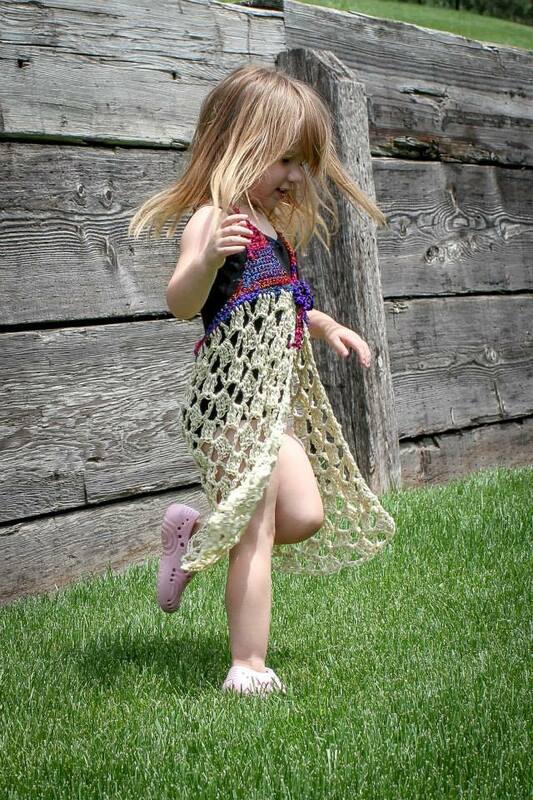 Don’t forget to run on over to the HodgePodge Crochet Ravelry Store to find some cool summer savings on these other great Fun-in-the-Sun patterns! Use code DWSALE for 20% off!! The Classic Chevron Tank Top! The Unforgettable Summer Nights Circle Shawl!